Dear friends, family, casual onlookers…and also you! Yes, even YOU (whatever your name is). If you have a well developed memory and a functioning eyesight you may have noticed that my posts have been a bit sporadic the past few days. Rest assured that I did not forget about you…well, except maybe you (whoever you are). The truth is, I have been busy. Over the weekend my girlfriend and I have finally moved into our new apartment. So between moving, unpacking, IKEA shopping and assembling furniture I have had little chance to update my blog. Pfffft, 2D Tetris is so last century! Now if you’ll excuse me, I believe I’ve got a few more drawers to build. @NestExpressed Awesome self promo opportunity =D Whoa, that was some seriously impressive packing! @NestExpressed haha loved your little story, the skill off the person who loaded your car well what do i say abou that lol. Glad ur oke!!! 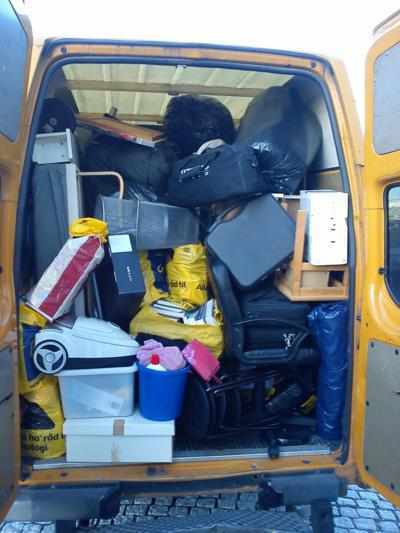 @sanjekel41 True true, those were some impressive van-loading skills! Hope all’s good on your end! @LightSpeedGmng But that’s comedy material for another post!